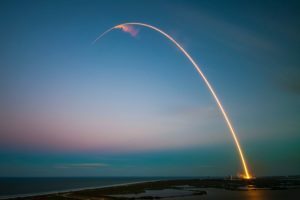 First Round Capital recently published this blog post about hyper growth in start-ups and the techniques founders can use to effectively set expectations and manage the team through the various phases of growth. In short, for the vast majority of people hyper growth will eclipse someone’s capability faster than s/he can develop. I saw this first hand at Netscape where the early stage employees struggled and resisted new procedures or structure to help deal with the company’s rapid growth. I remember we used the phrase “cowboys/girls” to describe the early employees who relished ambiguity, freedom, and experimentation and the term “farmers” for the later stage employees who had more comfort and experience at a larger stage of growth. At the time we needed both types of employees, and the combination of their different approaches sometimes worked well, and other times was quite frustrating. The competitive onslaught by Microsoft seemed to accelerate this process (at least that’s how I remember it as I was very early in my career) and so I remember noticing the vivid contrasts between people’s personalities, motivators, and fears. One of the senior leaders at the time was Ben Horowitz, then a young Product leader in the Server team. Ben was, and of course is, a brilliant leader and writes about the impact of hyper growth on leadership roles in his book “The Hard Thing about Hard Things”. To do this well requires a shared commitment to the team’s purpose that allows people to place their personal interests behind the well-being of the product and team. It doesn’t mean people need to leave the company, but it does mean the People Team need to be working tightly with the CEO and senior leadership team to have frank conversations about strategies, impact of growth, and readiness to scale leadership style and capacity. Having now worked as an Executive Coach since 2012, and after studying adult development in depth, I agree 100% with Khalid Halim and Ben that there are limits with the pace by which one can scale a maturity of mind to be the right person for a company at a phase of growth. There’s no shame in not being that person, but these are often not fun conversations and require a respectful approach by all involved. My best advice is for CEOs and senior leaders is to invest early and regularly to (a) have super clear roles and deliverables that facilitate accountability (and yes, people will play all sorts of roles in smaller companies but clarity of who is doing what, with what resources, by when, and with whom is essential at any stage of growth and is easier said than done) and (b) well-articulated company values and leadership behaviours. If those tools are robust and well-used (and the senior team actually walks the talk) then leaders can use them to assess their performance against them and to have regular check-ins that look 6-12 months ahead to see what will be expected of that leader and to act accordingly. In the perfect scenario both leaders can objectively assess what will likely be needed and develop as quickly as possible, and/or transition with grace and professionalism.